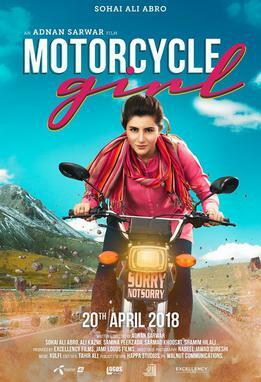 “Motorcycle Girl” is a new Pakistan film based on Zenith Irfan’s solo journey from Lahore to Khunjerab on a motorbike. It was her father’s dream to travel the world on a motorbike that could not be realized due to his death. Zenith then took it upon herself to travel the journey in memory of her father. She is in fact the first Pakistani “brave” girl to travel this long and arduous journey on a motorbike, solo, that is. To me this is more than a movie. It is inspirational stuff delivered in a most witty way. I will not discuss the caste or story-line etc. This ramble is about the message that the movie aims to deliver.